If you grow a garden like we do, you’re probably getting a ton of zuchinni right now. As you also probably know you can’t really freeze zuchinni as it has too much water content. 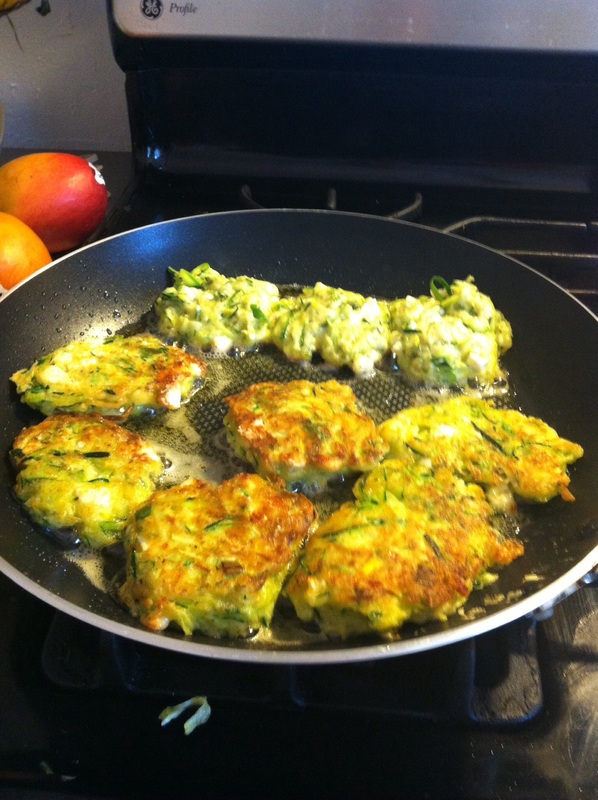 But uou can freeze zucchini fritters. e as much water out of the grated zucchini as you can. You’ll be surprised. Then add the onion, carrot, 1/4 cup flour or panko, salt pepper, even a little chili pepper, a beaten egg. I like too add a little feta cheese too. Heat up a pan with olive oil, and make patties. Brown on each side , cool , and then I put the, in wax paper and then a freezer bag. I’m making another batch today and looking for a zucchini bread recipe too. I think that should freeze well too. I’m going to town today to get a few things. I also have a huge load to bring to the food bank. Tuesdays are hard for me now since that was my day to open the library. I sure miss my schedule, but I’m trying to find other things to do on that do to keep me busy. I miss my job, and the library, but it’s about going forward and finding the best of this situation.